Ordering pet food and meds online is so convenient, right? Click a few buttons, type in a little info and products are delivered to your door, saving time and money. But when it comes to your pet’s food and medications, be careful what sites you use to get these products. Some online retailers of pet food and medications sell “diverted” items—these are products purchased in bulk and then sold to the online retailer before being resold to the consumer. Diverted products may no longer carry the manufacturer’s guarantees for safety and efficacy. The result is you may receive expired food or medications, or even counterfeit drugs. 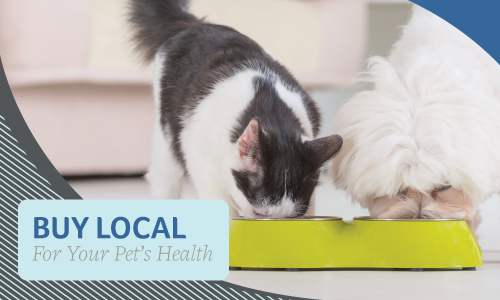 When you purchase through Glendale Animal Hospital’s online pharmacy, you can rest assured that you will receive genuine medications and fresh pet food directly from our distributor, which carries the full guarantee and support of both the manufacturer and Glendale Animal Hospital. Our online pharmacy is also competitively priced, and we offer free shipping on orders over $49. With the Autoship feature, your pet’s next bag of food or package of medications shows up on your doorstep right when you need it, and delivery is always free. If you need any more assistance ordering your pet’s prescriptions, food or flea medications please contact us.